Here’s how to enable the hidden Library folder on your Mac running macOS Sierra, OS X El Capitan or OS X Yosemite. Most users will prefer to only interact with parts of Apple’s Mac platform that the company has deemed important and needed enough to actually expose to each user. Of course, depending on how an individual has an account set up will determine how it’s actually used and interacted with, but more often than not, the average user doesn’t like to deviate from a provided path. Other users however, such as the more technical proficient or curious, like to take control of everything that’s going on with their computer, which includes accessing the hidden Library folder within a Mac’s operating system. 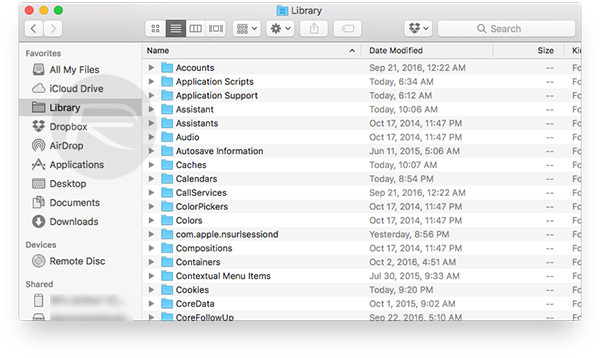 The mysterious Library folder, which is not only present in macOS Sierra, but also in OS X Yosemite and El Capitan, is where Apple chooses to hide caches and configuration settings for individual apps. Not exactly useful to most MacBook or iMac owners, but still interesting enough for the power users out there. 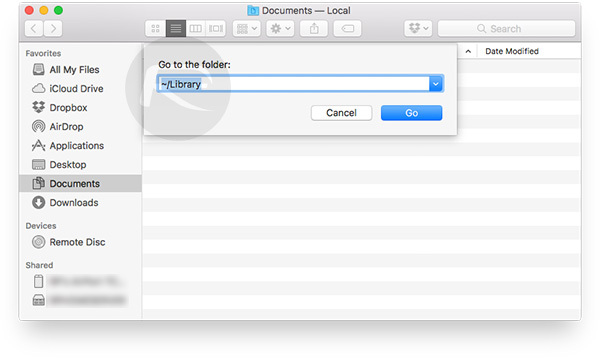 Below, we’re going to take a quick look at how to get up and running with that hidden Library folder on a Mac. Step 1: First and foremost, you’re going to need to launch Finder on your Mac. Next from the Mac menu bar on top left, navigate to Go > Go to Folder, as shown in the screenshot below. Step 2: You will now get a prompt to type in the directory you want to go to. Type ~/Library and then click on Go button. Step 3: And there you have it. 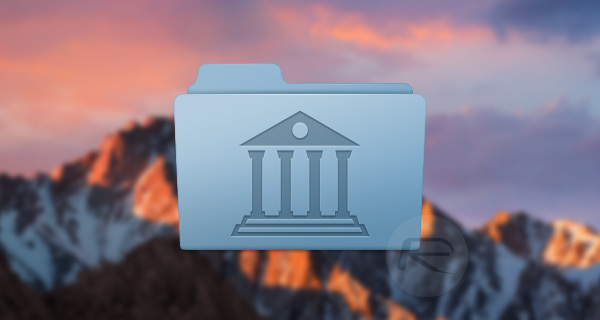 In a few simple steps you’ve managed to instantly access what was a previously unknown and hidden folder within macOS. However, accessing this folder frequently in this manner can cause slight frustration. Luckily, there’s an easy way to make the Library folder always visible. 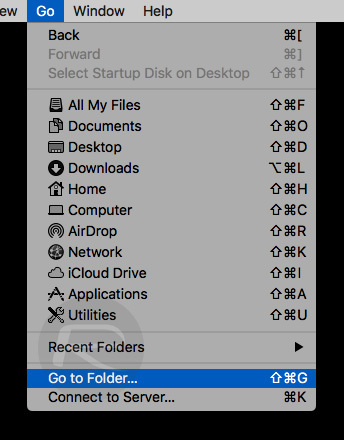 When in the Library folder, click and hold the Library icon shown on the top of the Finder window and drag it in Favorites column in the sidebar. That’s it. The hidden Library folder in will now be always and easily accessible from within Favorites in Finder. Brilliant tip! That’s the fastest, easiest way to access it! It’s now ‘Shift’ to show it in Sierra, Well on my Mac it is anyway. TBH, the fastest/easiest way to access it is to press cmd + enter and type ~/Library. The quickest way of getting there (or any part of the OS) is to press `CMD+Opt+G` from the desktop and hit ~/L+Tab key. Bingo!!! but how do you actually SHOW the library folder listed in your home area? I want to be able to select the Library folder and “Get Info” on it. Thanks, this is the “real” solution, the others offered are just temporary workarounds. So it is on mine!!!! how stupid!!! took me ages to find it and 3 apple advisors didn’t know about it!!! ” ~/L+Tab key. ” is the part that didn’t work for me, not sure what you mean here since you are typing a folder path after cmd+shift+g.